1. 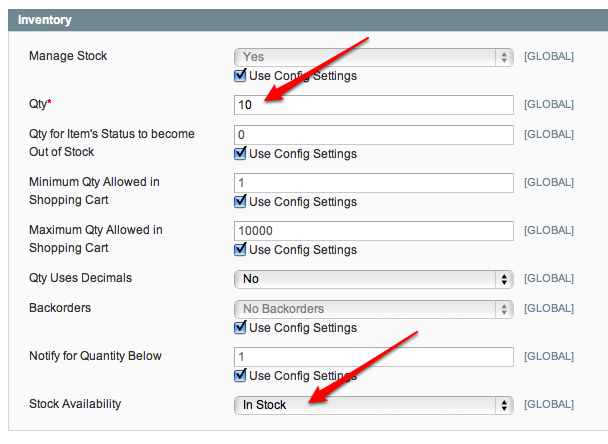 Go to Catalog -> Manage Products -> Add product. 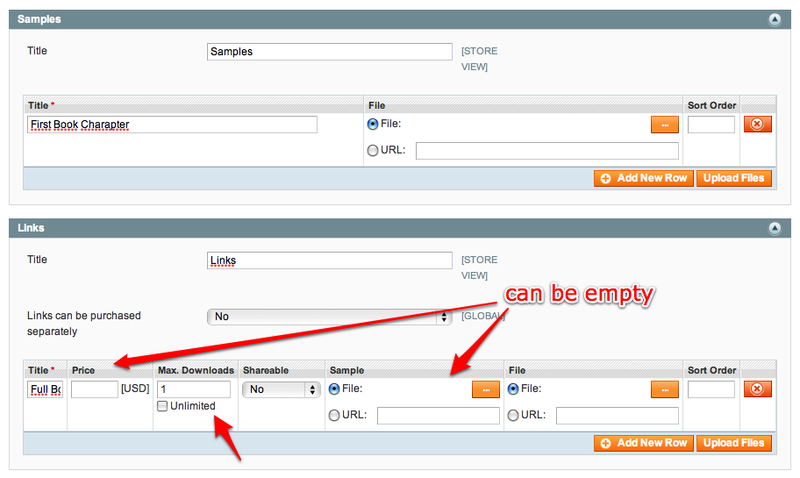 Here you can create optionally Samples and at least one Link. You can upload files or put an URL. 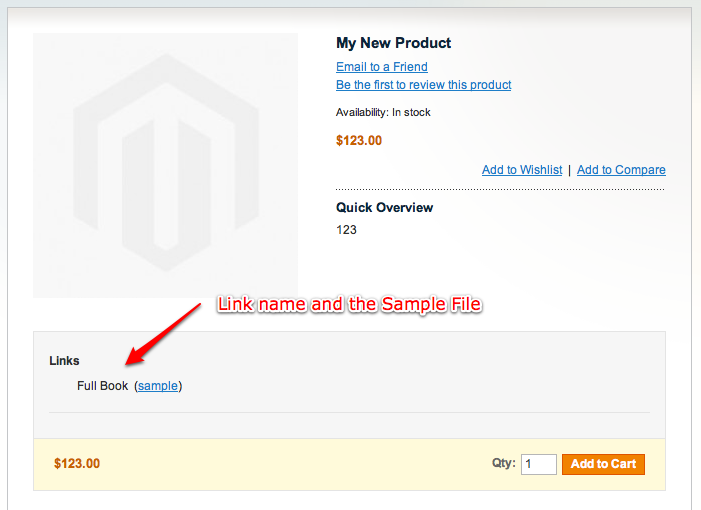 Now we can see the product in our frontend store. 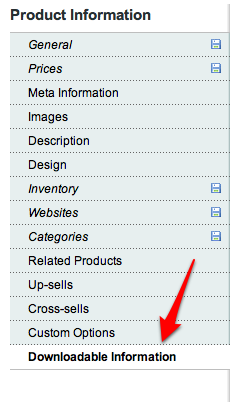 Once you buy the item it will show up in your customer account (My Account). After validate the order it will allow you to download the file. 4.789.797 post views so far. This page needed 40 queries to load.